Besední dům was constructed according to a design by Theophil von Hansen in 1871 – 1873. It became a part of the town’s history as a social and cultural center for Czech urban society. The building was first used as a multi-purpose center for social gatherings, music, theater, education, political events, and physical fitness, and at one time or another housed schools, publishers, a savings bank, reading clubs and a fine restaurant. Over the course of time it became a center for music, thanks to the Beseda brněnská choir and its music school. The building’s lovely main hall served mainly for chamber concerts: for a brief time after the Second World War some of the top names of world music passed through its doors. The 1950s brought great changes. The traditional municipal associations were broken up and music ensembles were forced to seek other venues. Year 1953 was the dark age in the history of the Besední dům when it was given to the military and became the District Army Center. After the wave of militarism faded, in 1957 the orchestra moved back in, along with the secretariat of the artistic unions, the publisher Host do domu, and the Regional Concert Agency. Filharmonie Brno had to move out one more time in 1989, when the stability of the building was threatened by shifting foundations. 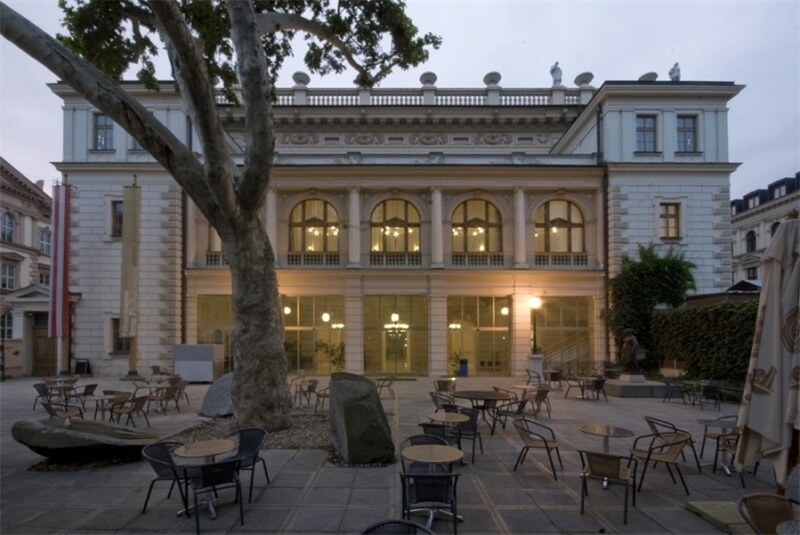 The new reconstruction of the Besední dům returned much of its historic charm to the building and today provides previously-unsurpassed surroundings for Filharmonie Brno, which moved back in 1995.